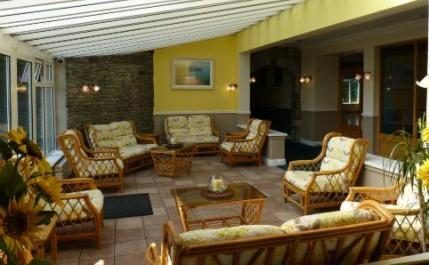 The Burren Castle Hotel is nestled in the beautiful countryside of County Clare. 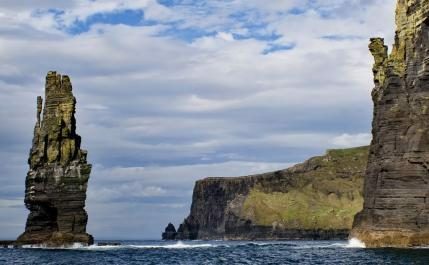 Conveniently located between Lisdoonvarna , Ireland’s only working Spa Town and Doolin, the home of traditional Irish music. We are a large family run hotel that prides itself on providing a friendly, courteous service and we look forward to welcoming you soon. It is the ideal base for nature lovers, adventurers and music enthusiasts as well as being a haven for those weary travelers just looking for some good old fashioned peace and quiet. Our restaurant provides a hearty Irish breakfast and a varied dinner menu with daily specials, while our bar offers a snack menu if you are looking for something lighter to nibble on while you enjoy the nightly musical entertainment. There is a mini golf course and a full size tennis court available. All the equipment you need is available at reception. Free Wi-Fi internet access is available in the hotel lobby. There is free onsite parking for our guests and ample space for coach parties. 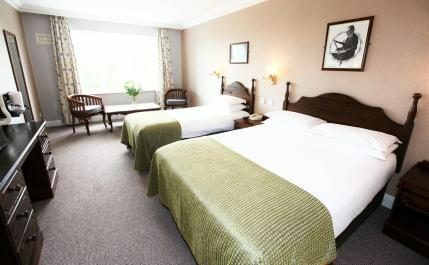 The Burren Castle Hotel has 80 tastefully decorated en-suite bedrooms, almost all of which have views of the beautiful, scenic countryside surrounding the hotel. All rooms offer multi channel televisions, hairdryers, tea and coffee making facilities and complimentary toiletries. Dogs can be accommodated subject to availability at a charge of 5 euro a night, including a takeaway sausage and bacon breakfast.